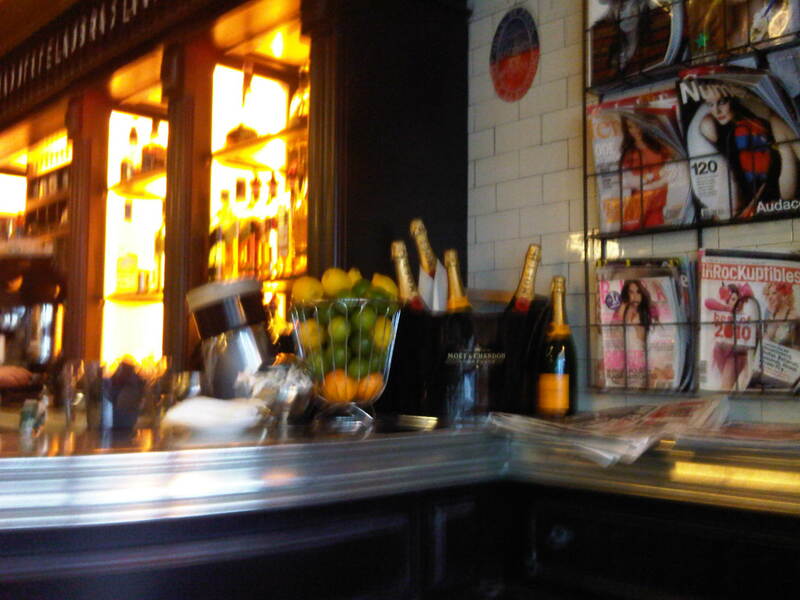 “Bar du Central” – 7eme Arrt. 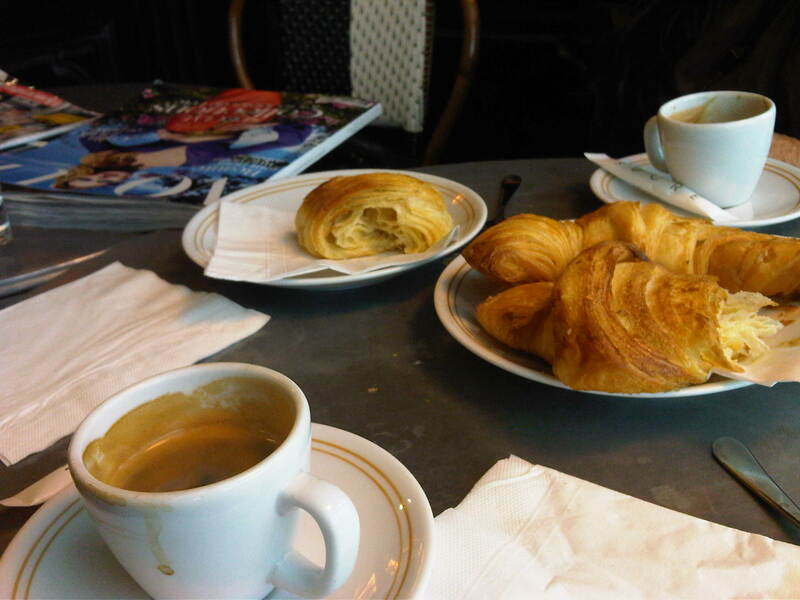 Having just returned from a business trip, we had missed our Sunday ritual of heading to the 7eme arrt. quartier, where we delight in having our croissant and express at the “Bar du Central” on rue St. Dominique, a brasserie that is “intime” and has a lot of charm. The flooring is designed in squares of black and white, with the loveliest colour of grey, zinc rounded tables, and blond “chaises en rotin” chairs – with the most convenient, as well as decorative side-shelves, full of the latest magazines, e.g. French Vogue, Elle, Le Point, etc., as well as the very important “journaux” of the day. Voila! The Bar du Central offers also, among other stuff, the most “raffiné” and delicious French-style hamburger, displayed beautifully with the most tempting golden “pommes frites” – small enough to keep a serious dieter happy. The desserts are light and good, ending with a nice, stiff cup of “express”, accompanied by excellent service by the witty and gallically charming waiters. All in all, a delightful way to spend a lazy, leisurely Sunday lunch.